Senior JJ Lipscomb became semi-famous when a video of him talking about the strike was posted on CNN’s Snapchat story. “I was surprised I was on CNN’s Snapchat,” JJ said. The clip featured JJ super excited and cheering about not having school the next day. Nicholas County teachers and service personnel attended a meeting Feb. 5 at SMS about a potential work stoppage. 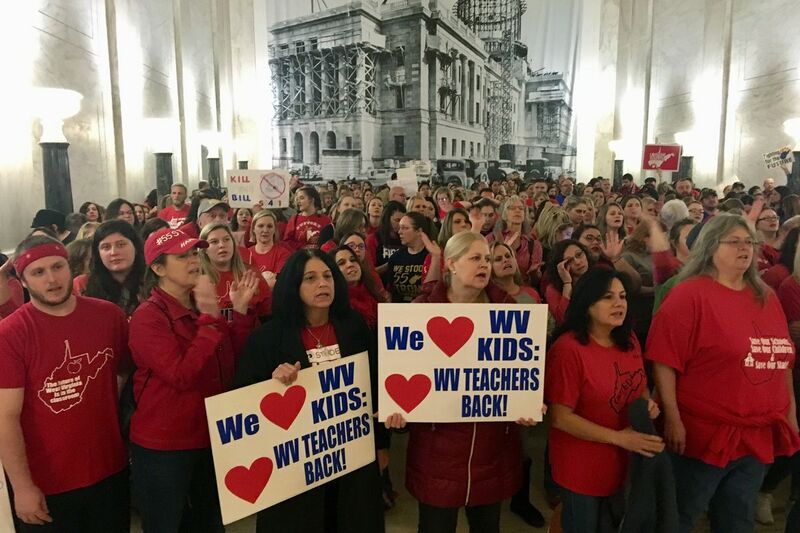 The reason teachers and service personnel are considering a work stoppage is because of the Omnibus Bill presented by the Senate. If the bill passes in its original state, it could increase class sizes in elementary schools from 28 students to 31 students per class. Also, charter schools could be legalized in West Virginia. In addition, counselors may not be required to spend at least three-quarters of their work time with students as they are now required to do. The bill could remove a statewide pay equalizing provision. Parents would be able to use “education savings account,” which would give them money to private-school or home-school their children. Regular levy property tax rates could raise. Pay could be withheld during a work stoppage, even if a county superintendent officially closes school. School employees could have to re-agree to have part of their paychecks withheld to pay union dues.